Some watches just look awful, but they can hide a real gem under all the scratches and dirt. This is a watch like that. This Heuer 980.006 came to me as a basket case, with a very scratched crystal, a stuck bezel and a non running movement. As it looked on arrival. The watch had a lot of scars after several years with professional use. 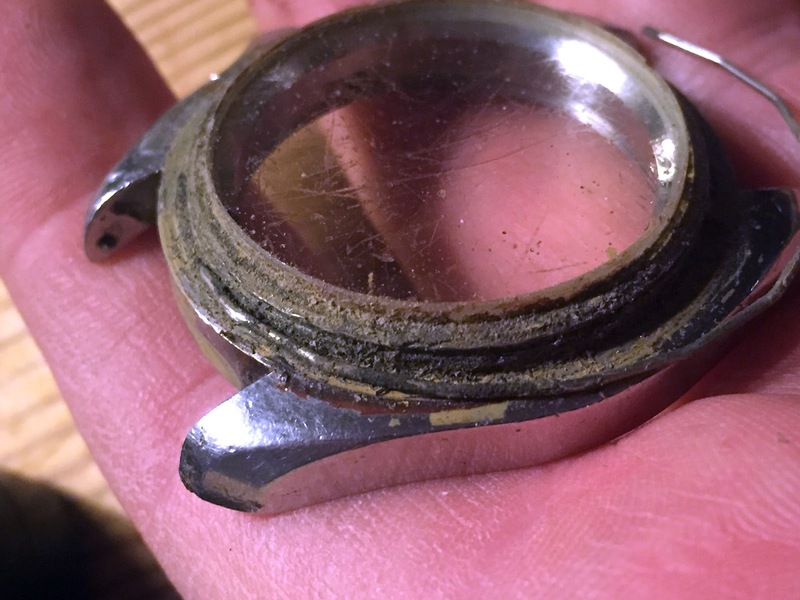 This watch was no safequeen. It has been used by a proffesional diver for many years and it does really show. This was a tool watch that had seen it all. 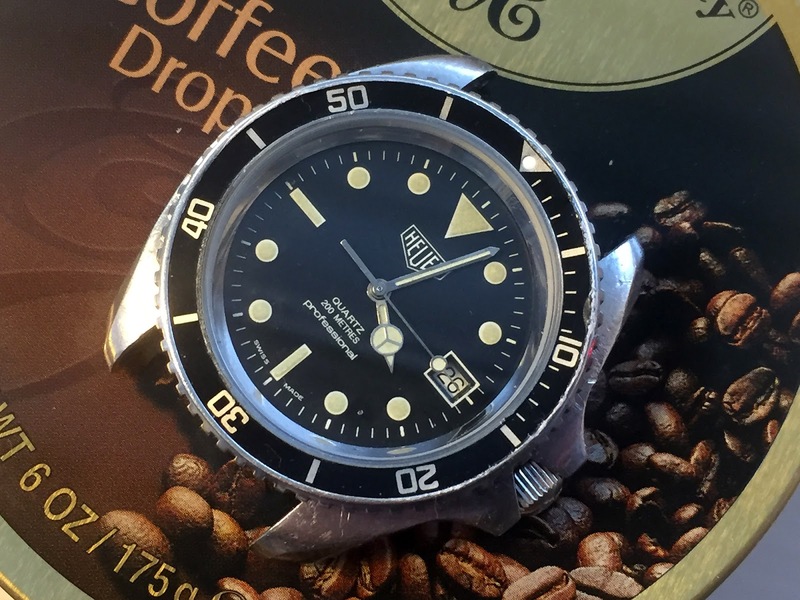 The crystal was the worst I ever have seen on a vintage Heuer diver. 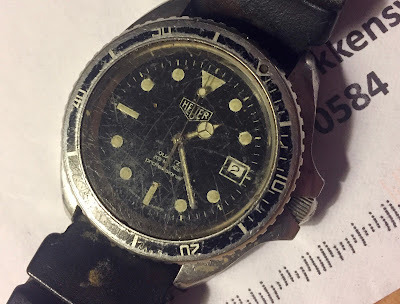 The owner got this watch from his diving instructor father and wanted me to give it some TLC. 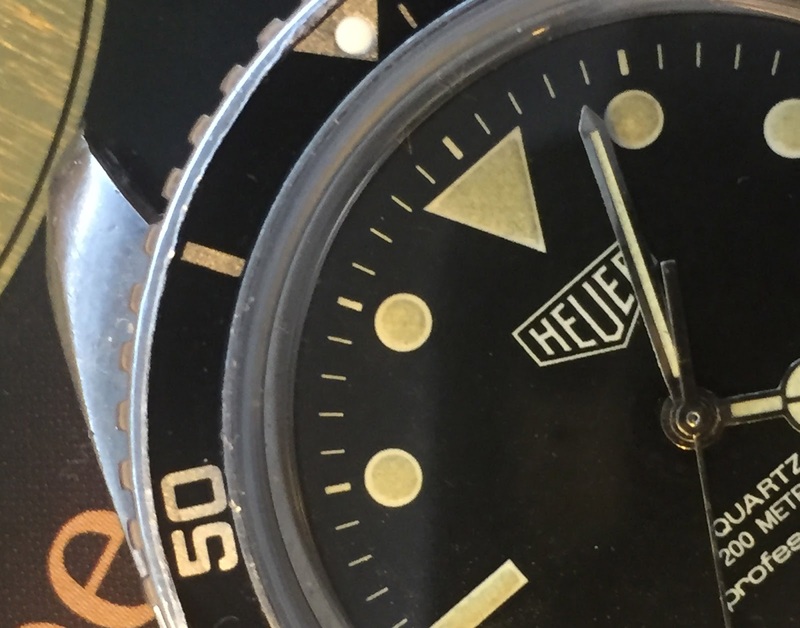 I love to give these old Heuer diver watches a second chance in life and accepted the challenge. 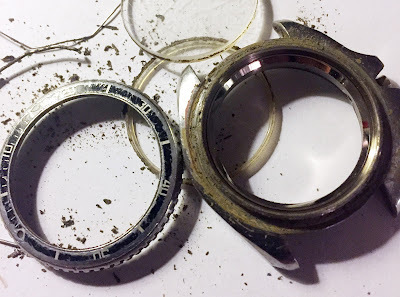 A full strip down revealed a lot of dirt under the bezel. No wonder it was stuck. 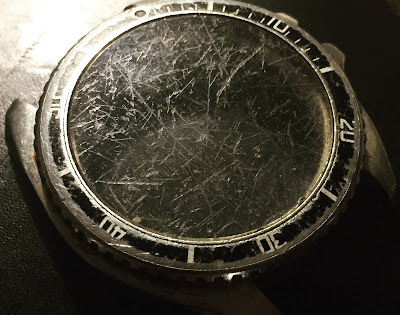 The bezel was not possible to turn. I was very stuck. I had to remove it and underneath it was a lot of dirt. No wonder it would not turn. 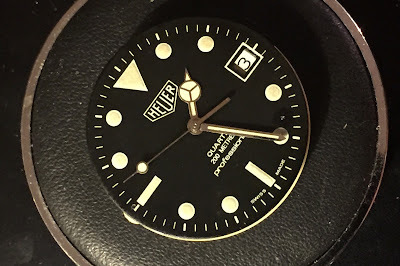 A good clean of all parts and the bezel did turn and click as new again. 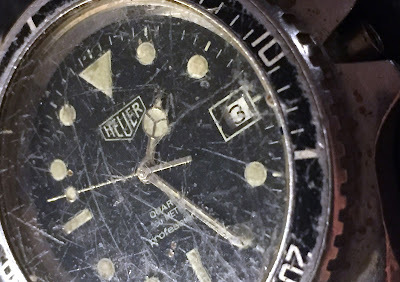 A lot of goo and grit under the bezel. Fortunately was the dial and hands in perfect condition under the scratched crystal. No need for any work there. The movement is a correct ESA 536.121 and did not run. It did run for a little when I installed a new battery, but stopped after a short while. The reason was most likely dry oil. And a little fresh oil did do the trick. The movement was soon ticking again. A new bezel insert was installed. It really transformed the watch. The installation of a new bezel insert was a real pain. I had to make several small adjustments to make it fit. In the end I managed to get it in place. A new crystal and gasket was no problem and a easy fit. The watch was ready for service for it's new owner. I'm very happy with the result. This watch was really not good looking upon arrival. Thanks to Anders M. H. Versland who let me work on his fathers old diver.